When this option is selected, Sequential Flashing of Chevron Signs will be triggered by RADAR Detection of an approaching vehicle. When this option is selected, RADAR is not enabled and the Sequential Flashing of Chevron Signs occurs continually and on a 24/7 basis. When this option is selected, Flashing of Chevron Signs will be enabled on a 24/7 basis and operate non-sequentially. TC Connect WiFi allows for easy System Access and Configuration. 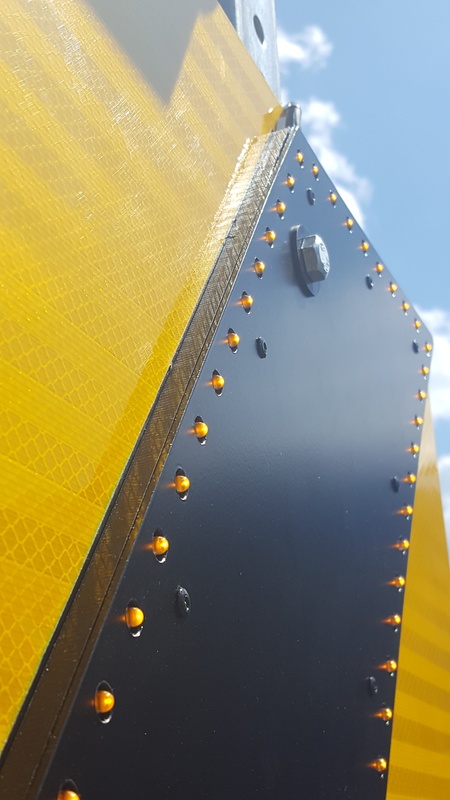 TraffiCalm’s Sequential Chevrons have become an ideal MUTCD Compliant solution being deployed on roads and highways that have the potential for accidental and / or catastrophic vehicle lane departures. Most curve-related accidents and fatal crashes involve single vehicles leaving the roadway and striking fixed obstacles. The greatest number of fatalities don’t necessarily occur on highways but rather occur on rural county or urban conventional roads. Our Sequential Chevron System is engineered to give drivers a higher level of visual guidance when approaching these curves. This is being successfully accomplished through an Effective 30° Angularity. Multiple Chevrons signs in a single location are configured in a single wireless network and flash sequentially in the direction of traffic. 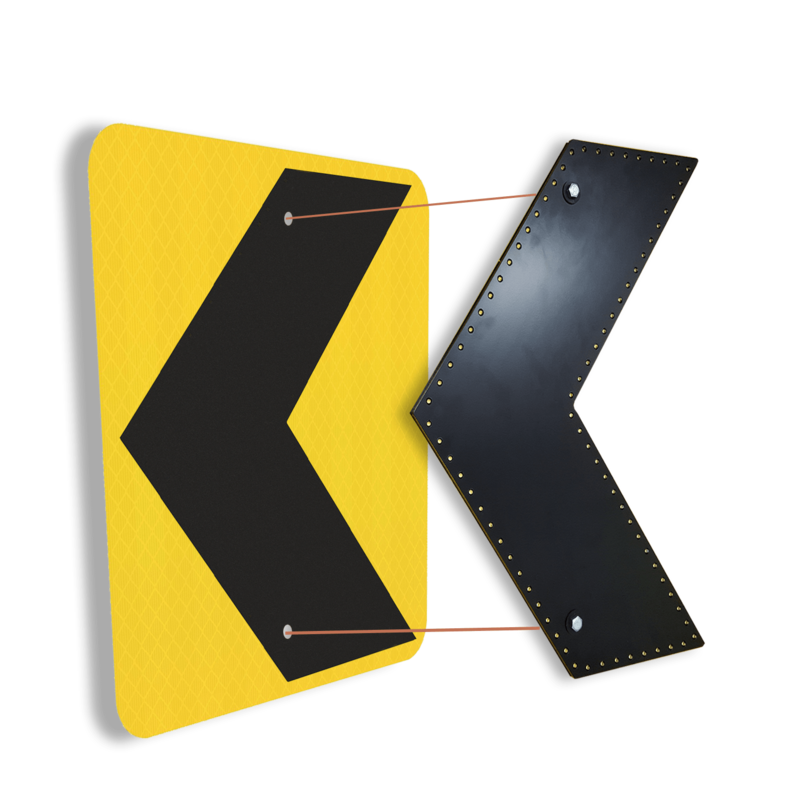 All SignAlert Chevron components are designed to easily adapt and mount to existing infrastructure … Including Signs. One-Piece Hermetically sealed LED enclosure providing the most protection against the elements. .080″ 5052 Highway Grade Aluminum. Black powder coated for surface durability.